Before the weather changes and we can no longer justify making pudding on a weeknight, I thought I might post my recipe for apple crumble. I know it all seems very easy, but I do think sticking to the ratio is important. Obviously, if you want to use fresh apple, go ahead. But I am quite happy with tinned. Spread the apples in a baking dish, and sprinkle with cinnamon sugar or brown sugar, or both. In a food processor blend flour, baking powder and sugar. 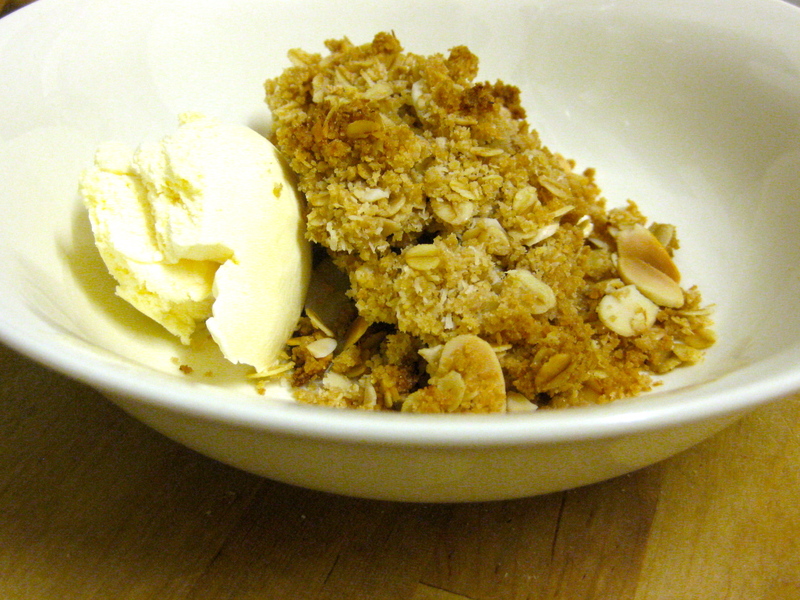 Transfer to a bowl and mix in the coconut, oats and almonds. Pour over the apples and bake for about half an hour. I tried adding slivered almonds for the first time last night, and they were indeed the jewel in the crown, so I absolutely recommend, for special occasions, to get some especially. But for just any old night, if you don’t have any, don’t worry about it. I believe the trick to a good crumble is to blend the flour and butter a little more than the recipe books suggest…a little more than ‘fine breadcrumbs’….blend until the mixture goes a bit more moist and larger chunks appear. 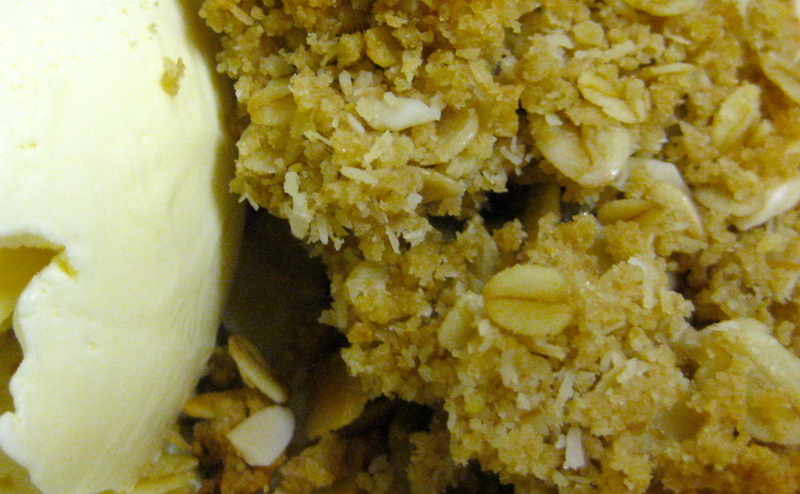 This will your crumble a lovely chunky texture.